*Normally $60, get exclusive $40 tix with secret code FUNCHEAP on select dates. Limited to 50 per date. 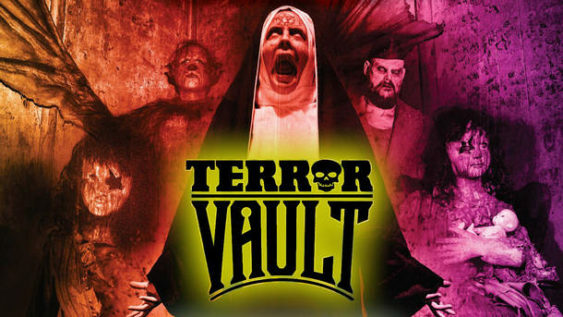 Part theatre, part haunted maze, and part escape room, Terror Vault is a brand new fully-immersive Halloween haunted attraction from the insane mind of Peaches Christ. Filled with top performers and screamers, this epic haunt invites to you to descend down a dark, narrow back staircase and explore the dark history of the historic 1874 San Francisco Mint. Limited to 50 discounted tickets per date. Meet the twisted minds behind Terror Vault, Into the Dark – Peaches Christ, David Flower Productions and Non Plus Ultra.